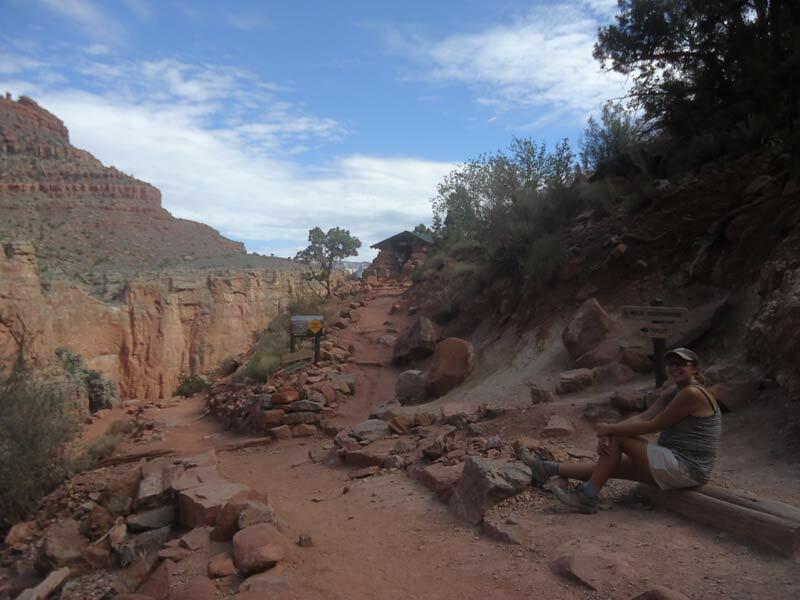 Both Vanessa and I were keen to hike down to see the Colorado River at the bottom of the Grand Canyon, so after our visit to Zion National Park we headed for the North Rim. 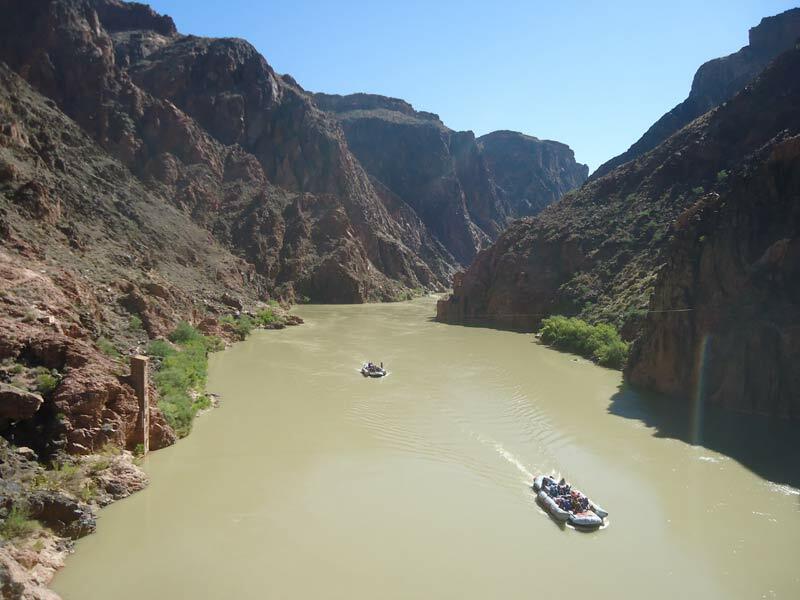 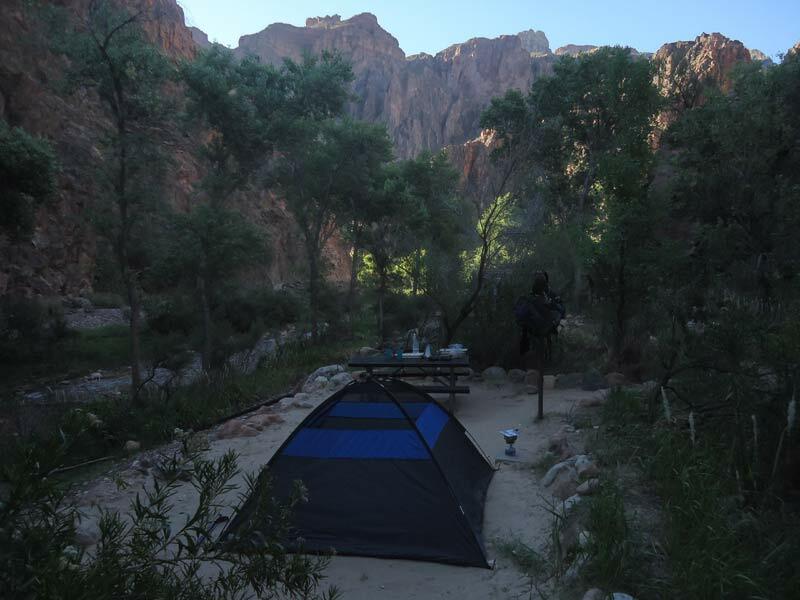 We had bought camping gear, and at the back-country office we booked two nights at the Bright Angel Campground, close to Phantom Ranch, in the depths of the canyon. 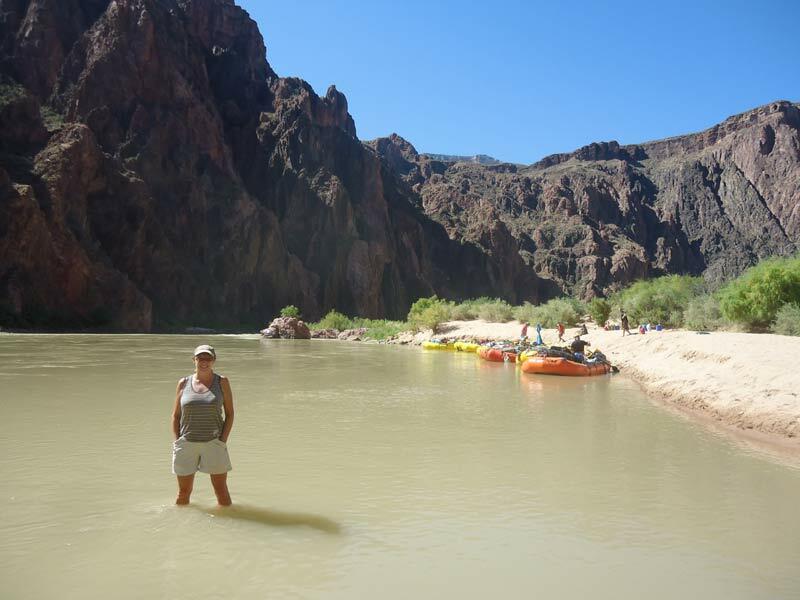 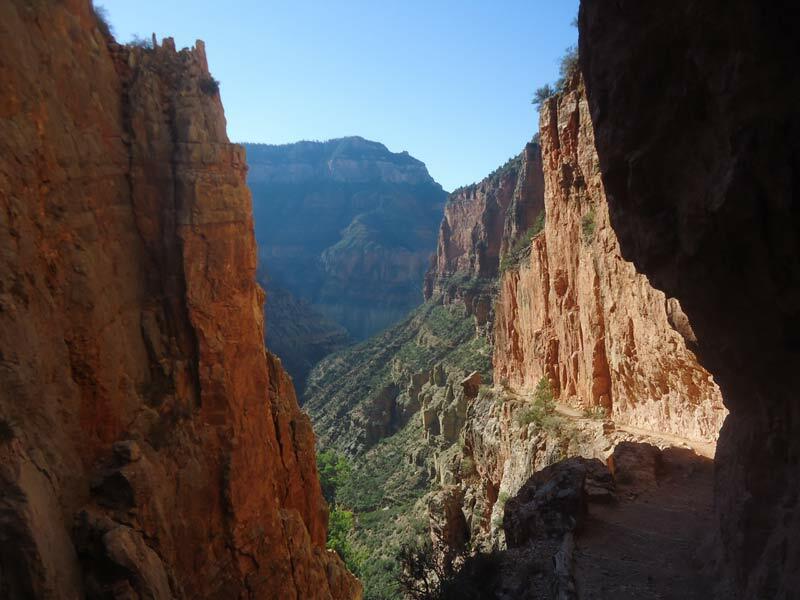 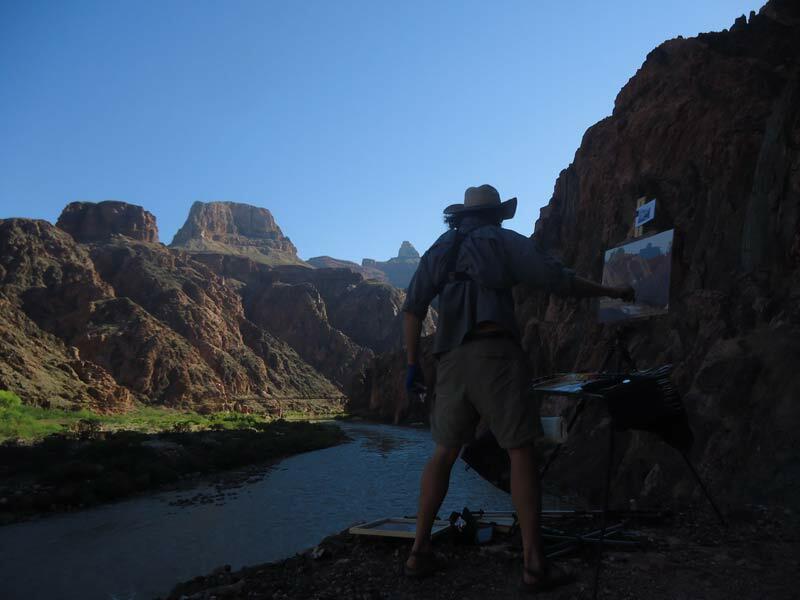 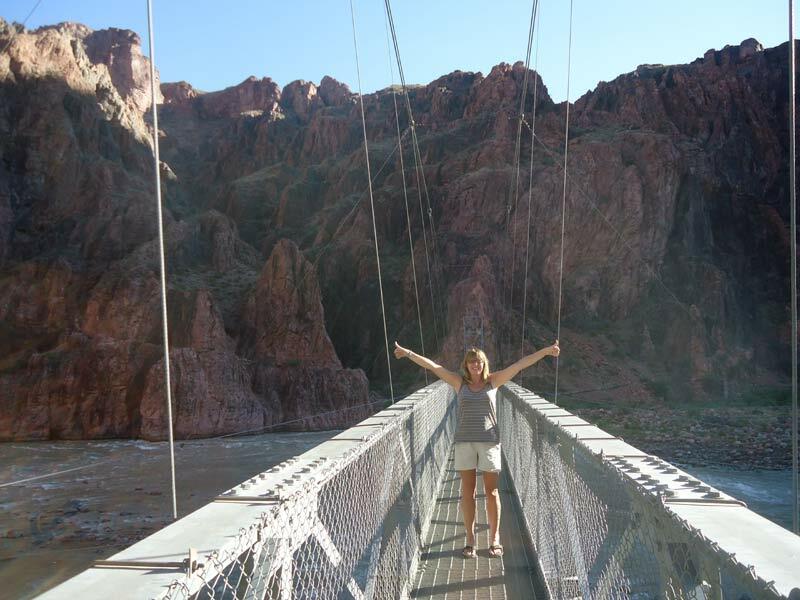 This committed us to a 14 mile hike down on the first day, but we would then have a full day by the river to rest up, before hiking out to the South Rim via the Bright Angel Trail on the third day. 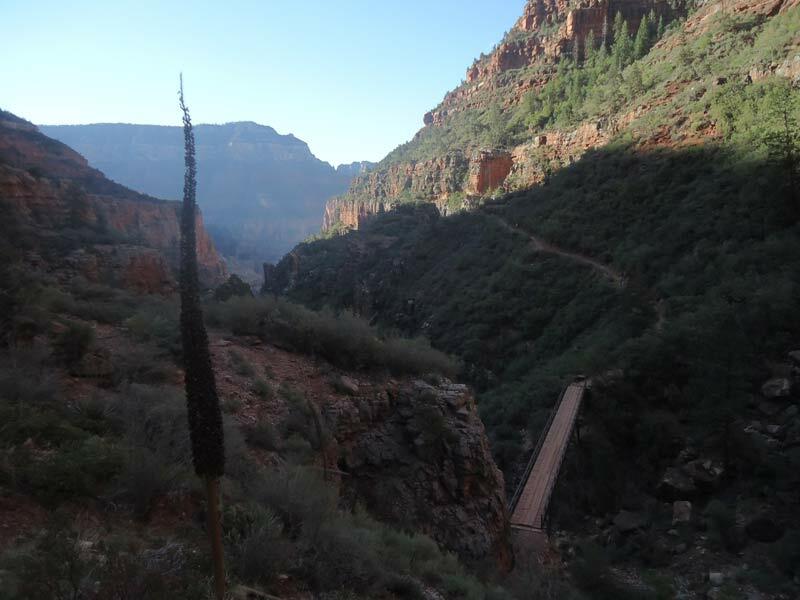 We have to get back to the North Rim where our RV is parked. 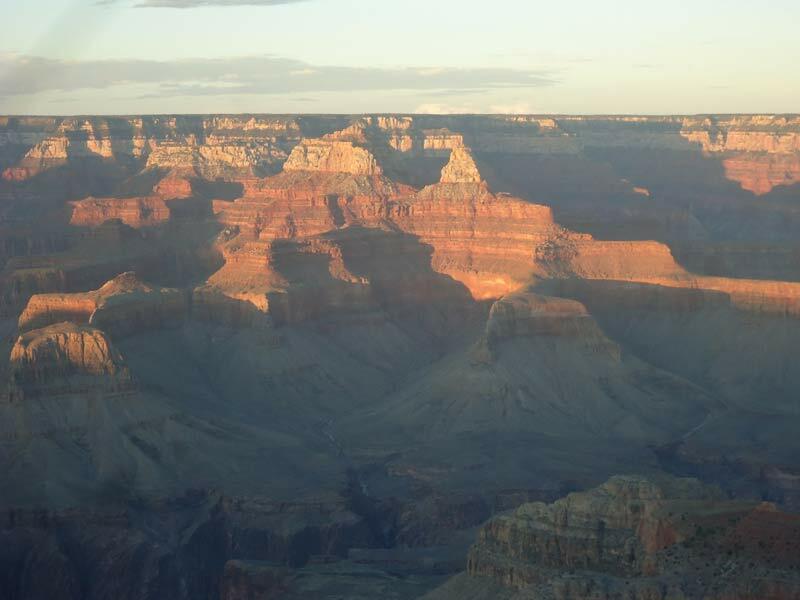 The shuttle, which has to travel over 200 miles from rim to rim, costs $80 each! 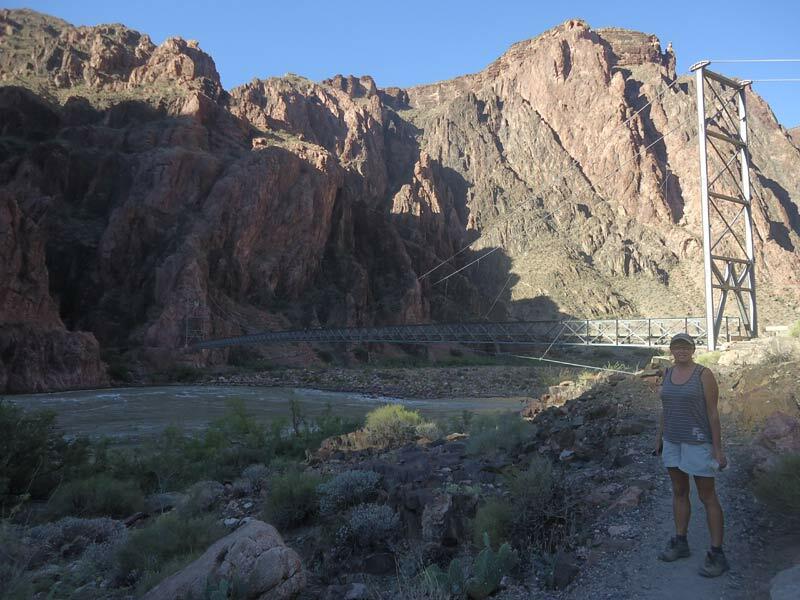 We’ll just hike back then!